Decades of experience in sterile production has led to develop the unique Microsphere Refiner for microsphere formulation from small scale processes up to production. Microspheres are small spherical particles, having a required size range (typically 5μm up to 250μm). Microspheres can be manufactured from various natural and synthetic materials such as polymer microspheres. New applications for microspheres are discovered every day from coating to cosmetics and cancer research. Develops solutions mostly used for drug delivery, as polymer microspheres can work as miniature time release drug capsules within pharmaceutical and biotechnology industries. 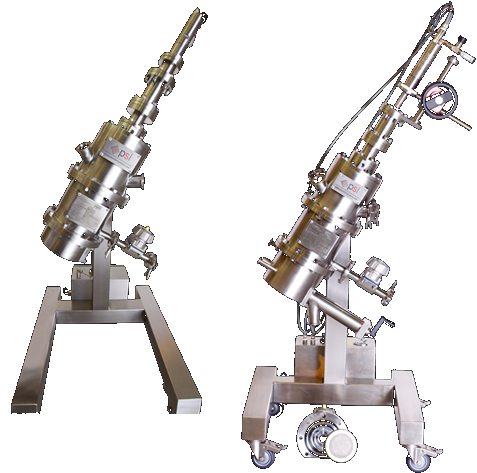 Suspended microspheres obtained from various micro encapsulation processes require unique handling that differ from a typical filtration and drying operation. Microspheres are random in size and need to be filtered and classified into the micron size desired before drying. The Microsphere Refiner has been designed to meet such criteria suitable for the formulation step of this advanced manufacturing process.